There are more than 35,000 species of spiders worldwide, a few thousand of which (including the most dangerous) are found right here in AUSTRALIA alone. Most species of spiders prefer to stay closer to the outdoors, weaving their webs commonly in your garden or around your outside lighting. Most spiders are a nuisance primarily because of their webbing. 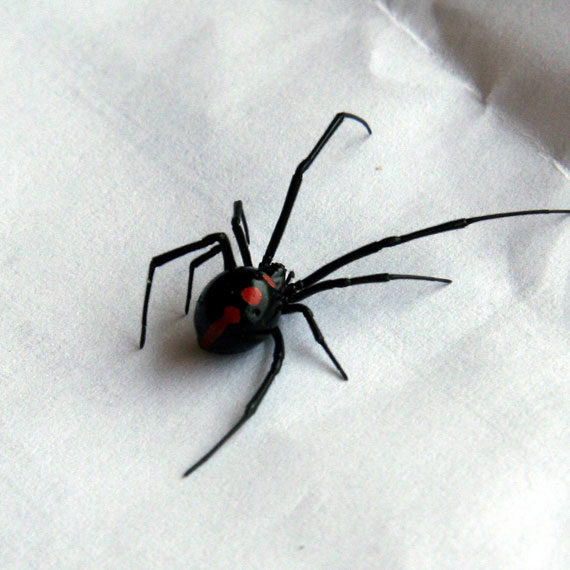 They are known to be most attracted to warm, dark, small spaces such as wall cracks, corners, air vents, and in the eaves of your home or any tight spaces easy enough to weave a web. Spider control is always a challenge. Spiders are a beneficial part of our eco-system and help to keep other small insect populations under control, so balance can be achieved while attempting to apply spider control on targeted areas. Even though spider control treatments are by nature short term, they will break the life cycle of the spiders that are actually treated, meaning it will take a lot longer for the problem to appear again. Because residual spider control treatments do not exist, the spider population will build up again over time. If you have a lot of bush and/or foliage in the immediate vicinity of your property, the time between treatments will be much shorter. SLUG A BUG PEST SOLUTIONS offers their 1 on 1 personal and professional service. We will thoroughly inspect your property, if a problem species is confirmed, advice will be given on the most suitable solution for treatment. Our qualified technicians are experienced in all aspects of pest management and their connected fields especially to the field of QUEENSLAND spider control and will provide a range of professional, quality services. This group of spiders are not found on webs, but commonly make their home under leaf litter or bark, in hollows or purpose build burrows and general garden areas. These spiders hunt down their prey or lie in wait to ambush their wanted prey. Webbing spiders depend upon silk for their movements and spinning webs for catching their prey. *Vacuum regularly, high and low- particularly sheltered spots such as beneath worktops, back of cupboards or under/behind furniture. *Remove sheltered sites such as firewood piles, garden bags, compost piles and general clutter from around your property. * Deter all insects- use lighting in a way that is less attractive to the insects (flies) that spider tend to feed on. To achieve a reduction in the amount of spiders you encounter in the yard spider treatments should be carried out on quarterly treatment plan. To control the spider population from getting out of control. You will not get %100 eradication with spider because they hide in areas we cannot always access. Unlike other insects spider don’t travel back and fourth through treatment. • Cover any food, thoothbrushes,kids toys ,bedding if you would like the spiders treated in the cornices.